It is almost two decades since the world’s nations signed up to the UN’s Millennium Development Goals. A further four years have passed since that program was succeeded by the 17 Sustainable Development Goals, under which all UN member states recognized that universal access to basic primary healthcare was not only a basic human right but also the key to eliminating global inequalities. The disheartening message of World Health Day on Sunday, April 7, is that for at least half of the world’s population, the goal of universal health care – a basic safety net for all citizens of any country – remains a distant dream. Worse, says the UN, about 100 million people are still trapped in a cycle of poverty because they have to pay for basic health care. This matters, and not just from a humane perspective. The UN says primary healthcare coverage is an essential key to achieving all other sustainable development goals, from poverty, hunger, education and gender equality to work, economic growth, reduced inequalities and action on climate change. Not investing in basic healthcare, in other words, is a false economy, but one to which too many governments in the Middle East and North Africa still subscribe. 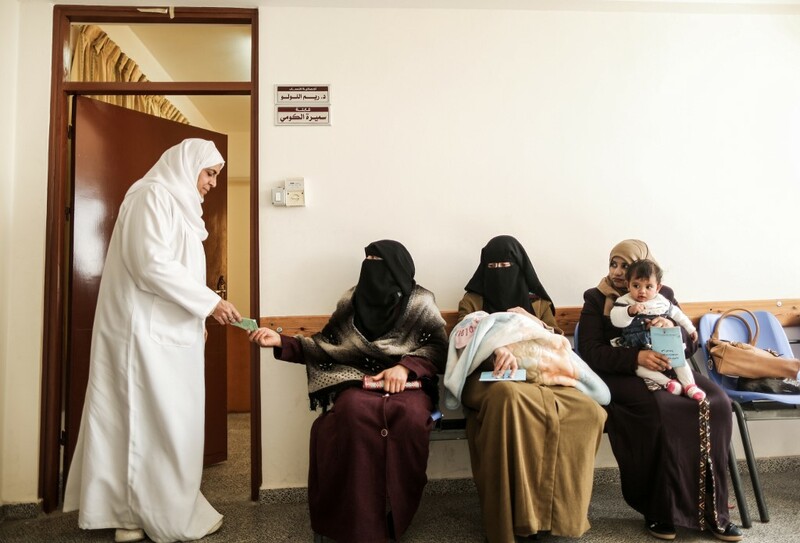 The region is home to more than 653 million people living in 21 member states, plus the occupied Palestinian territory, and there are “huge disparities” in spending on health “between and within countries.” The most recent figures show that in 2015, total health expenditure in the region was a little in excess of $145 billion. That sounds like a lot. In fact, it’s woefully inadequate. It represents just 2 percent of global health spending – for 9 percent of the world’s population. Put another way, global expenditure on health averages out at 10 percent of GDP. In the region it is barely half that. Predictably, the variations between rich and poor countries are stark. In 2015, Pakistan, home to 30 percent of the region’s population, spent just $38 per person on health, while Qatar invested US$2,000. The consequences of social disruption are still with us, in the shape of the refugee crisis and the burden that has been placed on neighboring countries and in the rise of populist, intolerant politics in Europe and beyond. Growth is the key to a nation transforming itself from being a burden to its neighbors to becoming a valuable trading partner. It is equally clear that the cycle of poverty in which many nations are trapped could be broken if one of the fundamental contributing factors – poor health – could be taken out of the equation. The key message from World Health Day is that much global poverty, and all that flows from it, could be averted if modest investments were made in primary healthcare in developing countries – and therein, perhaps, lies a challenge for the wealthier, healthier nations of the region. Countries such as the UAE and Saudi Arabia have done their bit when it comes to emergency aid, reaching out to those in need in the refugee camps and contributing valuable resources to vaccination campaigns – since 2014 the UAE has administered 347 million polio vaccines to 57 million children in Pakistan. But unless something is done to strengthen the fundamental universal health systems of such countries, the emergencies will keep on coming. Even a modest investment in primary healthcare systems could change all that – and help a generation to cast off the shackles of their circumstances and grow to become valuable partners for the future.